I had a very bad habit for years, and it took real work to detangle it from my soul. I used to blame myself for absolutely everything that went wrong around me. Part of it came, I know, from a dysfunctional childhood. Because my mother would frequently hit me for no reason I could figure out, I spent most of my time looking over my shoulder. If anything upset her, I would rush to fix it, desperate to do something that would keep her from yelling, drinking, or hitting me again. Even decades after she died, I would listen intently in any situation. If an office message was missed, if dinner wasn’t satisfactory even in a restaurant, if my husband was taciturn or grumpy after a bad day, I immediately assumed somehow it was my fault. It got to the point where I would say “I’m sorry” a hundred times a day — any time someone complained, was put off, or otherwise felt things weren’t the way they wanted. I assumed I was supposed to take the blame for absolutely everything in order to keep other people happy. It took a long time, a lot of work, and persistent talks with Carle to get me out of that mindset. But I finally realized that the person who was hardest on me was me. Trying so hard to keep everyone happy, I had somehow given myself the subliminal message you aren’t worth loving unless you are doing something for someone. You’ll never be loved just for being who you are. Now, in my sixties, that harsh voice has finally been silenced. And the only way I found to silence it was to go inside, and look for that quiet space that never yelled at me, never found fault. As my guide, Baruchiel, explained, Spirit in the human soul understands the impermanence of all. 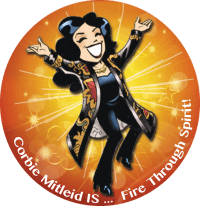 Because all things are coming to be and passing away, attention is placed on that which abides. That which abides in the human soul is charity, compassion, love, and the understanding of the interconnection with all those sharing your reality. I was part of the Whole. I deserved to be there because I chose to be born in this time, in this life. It helped me understand that my mother was passing on to me the lessons she had somehow learned – that only when you do something for someone are you worth anything. And her own self-hatred was so deep and desperate that the only way she could handle it was to drink, or to hit out in desperation. When I sat close with Spirit, in the compassionate silence, I forgave myself for what I did to myself. I forgave my mother, completely and totally forgave her. And finally, all the voices in my own head about not enough, you are never enough finally went silent as well. 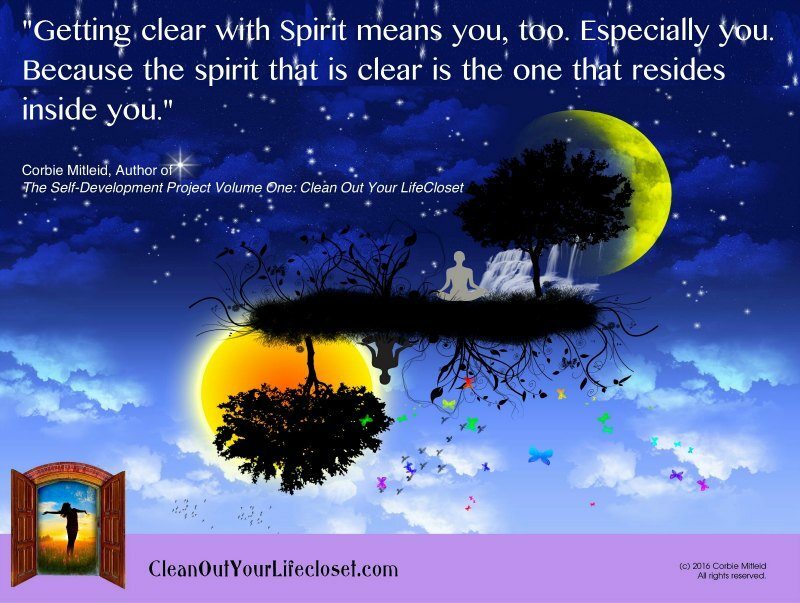 Getting clear with Spirit was my way of healing years of wounding, years of self-doubt and pain. Getting clear with Spirit gave me my life back.